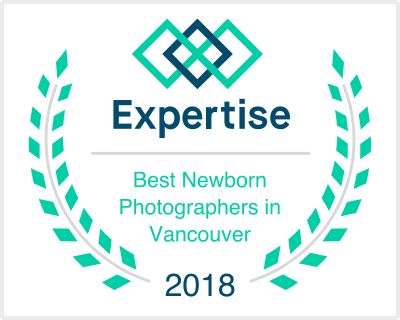 LaurieL Photography offers several different Mentoring options, as well as Traveling Group Workshops for aspiring or seasoned photographers who want to start a Maternity and Newborn Photography business, or just sharpen their existing maternity and newborn photography and post-production skills. Mentoring sessions can last one to five days, depending on how much YOU want to learn. After reading through the information below, please call us to discuss any questions or options that we may be able to offer you for your training. LaurieL's Maternity and Newborn Photography Mentoring sessions consist of intensive 1:1 or 1:2 teaching, and will provide you with the knowledge you need to create beautiful, ethereal maternity and simply stunning newborn pictures. We help you put the quality of your work at a top level to help you generate real income! Our Post Production and Photoshop (including On1 software), Mentoring covers variable skill levels, and are tailored to YOU. Whether your skills are just emerging, or you know Photoshop well, but, want to advance your skills to produce images that are highly professional, we will tailor the teaching to your skill level and beyond. Taking a good picture is only half the job. Your post production skills can make or break an image...and we'll teach you how to take your images from 'Acceptable', to 'Exceptional!' You'll even be provided a disk of LaurieL's favorite Actions, which include all of the Actions sold on the Photographers Prop Shop. Maternity and Newborn Photography Business Mentoring will cover so many of the things you need to know to help you start a Photography business of your own, whether it be focused on Maternity and Newborn Photography or another area of photography services. We cover many of the things you'll need to help you run a business with things such as marketing, advertising, documents, forms, client communication pieces and other items that can help you in your new business. This class is offered both 'in-studio' as one of your days during a Mentoring Session, or 'On-Line'. Please contact us for sign-up and payment information via phone or email under our 'contact' information. This is an intimate, one-on-one, hands-on training, providing you with the ultimate learning experience. There is so much more to know than meets the eye when creating truly beautiful, ethereal maternity photography, and we will show you exactly how to do it. This is an entire full day class, and will include some Post Production. Having this opportunity to be 'hands-on' in the studio can be much more rewarding than watching videos of someone else doing it. Video training is helpful, but when you are in-studio with your hands on and being able to immediately get feedback as you do it, gives you a much better grasp at the learning experience. This class is only offered as an add-on to a Maternity and / or Newborn in-studio Mentoring session. FACT: Your digital editing skills alone can make or break your images! Taking the picture only gets you half way there. The other half happens in the digital darkroom. Are your camera and Photoshop working in the same color space? Legal issues will not be covered, as I am not a lawyer, and can only offer 'advice' and my personal experiences of running a maternity and newborn photography business for over 10 years. The same information is covered as in our Group Classes...but, you have me 100%, and we can cover whatever you would like to cover! In addition, you may send your own images so that we can work on them together, and tailor the session to YOUR exact needs. If you are signing up for a multiple day mentoring package (2 days or more) - No need to find and pay for a hotel unless you prefer one. LaurieL will provide lodging at her home studio. Your room is single occupancy, unless you have a friend who is also interested in the workshop. Your lodging for the night is a private guest room located within LaurieL’s studio. Complete with a Queen size bed and private bath, it is comfortable and cozy! Of course you are welcome to get a hotel if you feel more comfortable with that, and we can recommend one for you if needed. Pickup and drop off to and from Portland International Airport (PDX) is included. No car rental is needed unless you prefer to have a vehicle for your time here. PDX is only 15 minutes from our studio and we will be happy to provide transportation to and from the Airport. But, if you do rent a car, Portland is a beautiful city to explore! Call our studio at 360.253.4142, or email us at lauriel@laurielphotography.com to schedule your personal mentoring session - and get ready to take your work to the next level!